Identity theft isn’t just the stuff of exciting movie and TV dramas; this happens in real life—and often. In fact, that Target breach that made headlines, Neiman Marcus, those 1. 2 Billion records the Russian cyber gang hacked: all identity theft. In 2012, according to one research firm, 12.6 million people in the U.S. alone were victims of ID fraud. This translates to this crime occurring every three seconds. If that isn’t bad enough, it’s estimated that one-third of ID theft is committed against the thieves’ own family members. Sometimes a person learns this when requesting a copy of their credit report. Expecting to see a high score, they instead see pages and pages of fraudulent credit card activity—and a very damaged credit. The thief can even be the victim’s own mother. Or spouse. Or daughter, son, sister, brother. As appalling as this is, it’s not the least bit unusual. It’s easy, for instance, for a parent to access their child’s name and Social Security number, then open up a phony account—even if the victim is literally a child. Most companies don’t check the ages, so that’s why this crime can go undetected for years. The victim may not even learn of the crime until adulthood when they apply for their first credit card or student loan. Learning that the thief is a family member, particularly a parent, delivers a particularly hard blow, for obvious reasons. At least there’s no emotional impact when the thief is a stranger or even someone outside the family whom you know. It can take quite some time to restore damaged credit. 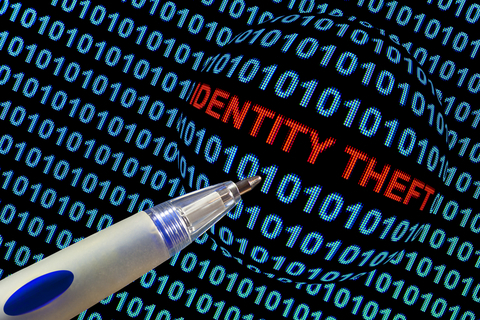 The Federal Trade Commission has an online guide that will help victims recover from the crime of identity theft. Children can’t protect themselves, so adults need to do it for them. That often requires an investment of time and money. Credit freezes or fraud alerts aren’t available to children until their identity is stolen. Applying for a fraud alert every quarter to 6 months and being denied means no credit has been established. Identity theft protection in many cases will help prevent child identity theft. However not all services offer this option. The good news is that child identity theft protection is generally less than $50.00 a year per child when the parent invests in a family plan.